TerraServer has added a new GPS view over Disneyland. It's dated 09-29-17 and is black and white, but better than nothing for viewing a more recent image of the construction. Unfortunately you have to sign up for a free account now in order to zoom in on it, but you can always use a throw away email address or something. Two SILA videos from Friday 11/3/17. This is the view of SWGE construction from the Mark Twain. A lot more steel structure for rock work has been installed around the BE building, it's going to be quite impressive. At 3:08 a peek of the steel structure for the rock arch through the trees. At 4:54, the steel wire and mesh tiles have been installed on a area where the rock work is more horizontal than vertical, it will be interesting to see their technique for finishing these areas. 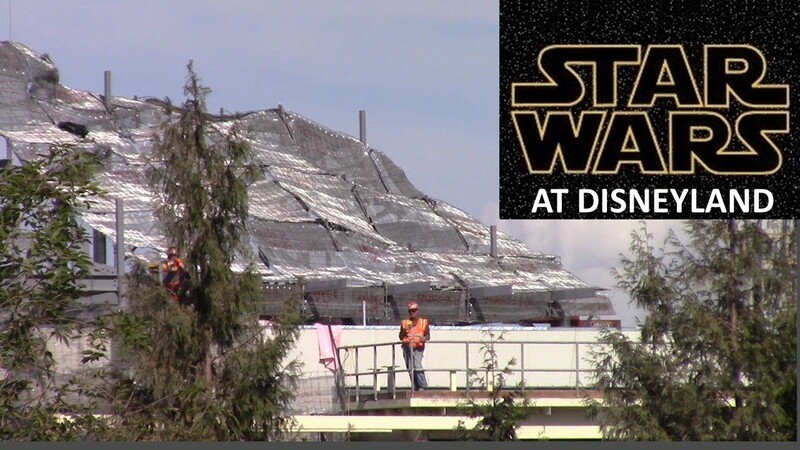 This is a view of the SWGE construction from the M&F parking structure and Disneyland Dr. In anticipation for rain, they have covered the rectangular structures on top of the BE building with plastic. They've covered the top surface of the exterior wall paneling with plastic as well. At 1:42, more structure for the fire escapes has been installed on the back of the BE building. Over on the MF building, it's amazing the amount of work that goes into just building the scaffolding around the tall rock formations. In the last footage from Disneyland Dr., looking at the fire escape on the back of the BE building, there appear to be three levels above the ground floor for a total of four levels above ground. So far two new SILA videos from yesterday 11/10/17. This is the view of SWGE construction from the DLRR as the Mark Twain is closed for refurbishment this week. Unfortunately not much can be seen but we do get a few glimpses of the progress. 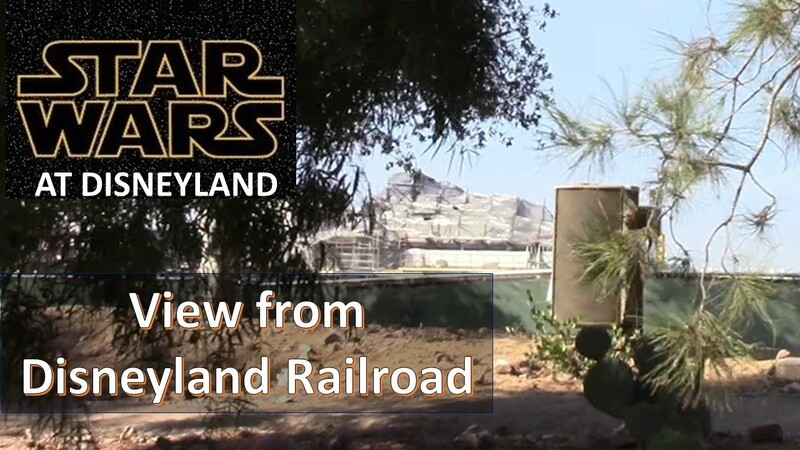 Now viewing from Disneyland Dr. and the M&F parking structure. They now have almost the entire northern exterior wall of the BE building covered, they're getting ready for the rainy season. At 7:15 we can clearly see they are applying surface coats to the rock formations on the MF building. I enjoyed watching the Columbia navigating the Rivers of America from the M&F parking structure at the end. 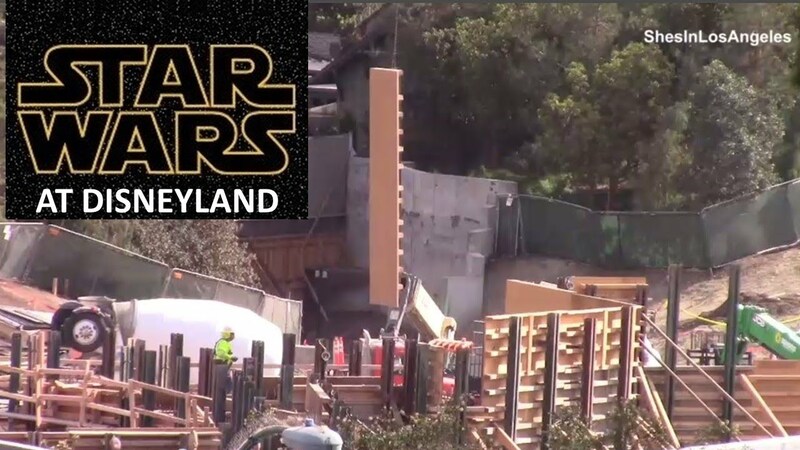 A new SILA video taken yesterday 11/17/17 of SWGE construction from the Hungry Bear. At 1:25, they are starting to cover the arch with the steel wire and mesh rock tiles. With so much of the rock formation around the BE building being horizontal, I'm very interested to see their method of finishing these areas. Two more SILA videos from Friday 11/17/17. This is the SWGE construction as viewed from Toontown. They're making quite a bit of progress applying the base coat material on the rock formations on the MF building, it's really taking shape. At 3:45 a good look of them spraying and hand finishing the base coat material on the rocks. And this is the SWGE construction as viewed from the M&F parking structure. Soon the entire BE building will be enclosed, only a small area of the western side remains to have the exterior paneling installed. At 3:30, they are sealing some HVAC ducting on the roof of the BE building, there sure is a lot going on up there. 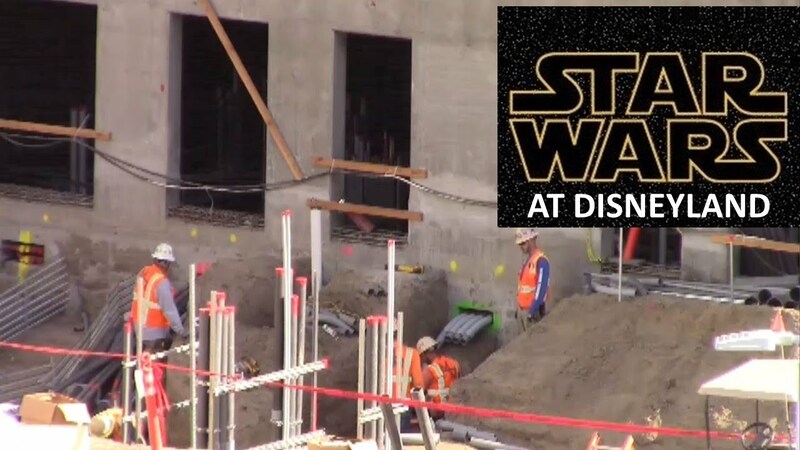 At 6:40 they're doing some excavation just outside the Launch Bay area of the BE building and the ICE machine can no longer be seen, I wonder if they moved it to another location or it's no longer on site. Thanks for all your work with keeping this up to date, Hammer. The O.C. Register posted this article on Friday that has some good insights. I don't know if there's much in here we didn't already know, but it gives some more form to the final products in mind for the land. Side note: Does anyone have any updates on Pixar Pier? I feel like we haven't heard much beyond the official Disney Parks Blog posts every couple of months, and I'm not sure whether to interpret that as a good sign or a bad one. Another fantastic video from Yensid 55 published 11/18/17, it's a recap of the SWGE construction over the last 20 months. It's amazing to see the construction progress from the very beginning in a step by step fashion. It's easy to forget all of the individual elements and trades that have been involved over the last 20 months. Mark spends a lot of time and effort to produce these videos, his very creative editing and use of music make them extremely fun to watch...it is greatly appreciated. It really pays a tribute to the workers as well, a lot of hard work goes into a project of this scale. 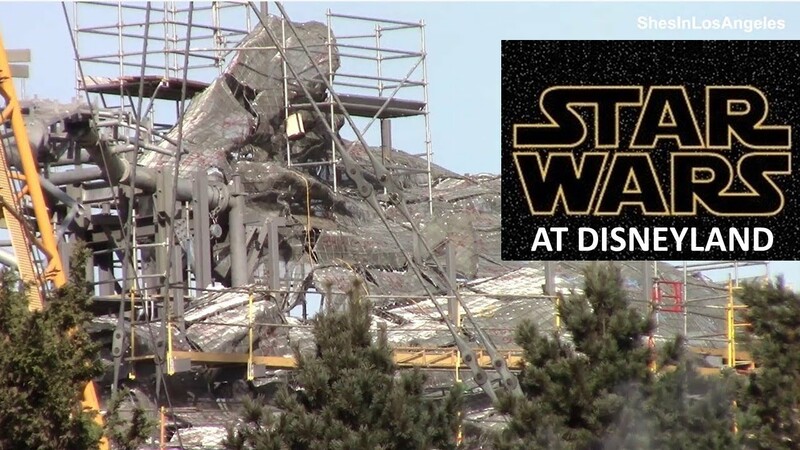 Just wondering if anyone has a reliable-ish prediction on when Galaxy's Edge is expected to open? I had read May 2019, but then also read that the opening may be bumped to coincide with the revised movie release date? Welcome aboard, Dan Bee! Please keep your hands, arms, feet and legs inside the vehicle at all times. Permanecer sentados, por favor. Disney has already stated that SWGE is going to open 'Summer of 2019'. It's way too early to give a more accurate answer to that, but probably later than sooner would be my guess. 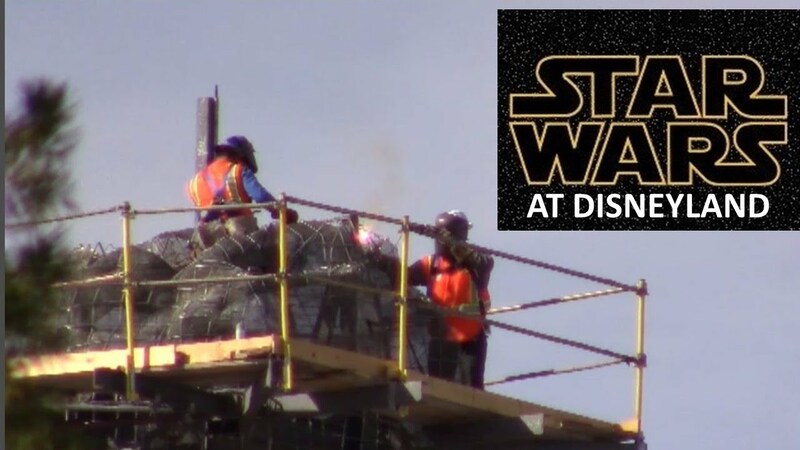 WDW just had their topping out ceremony for Galaxy's Edge recently, about 3 months behind DLR. I'm not sure whether they'll have a grand opening at the same time and just start DLR's soft opening sooner (in the spring), but they are definitely gunning it on this project here in Anaheim. 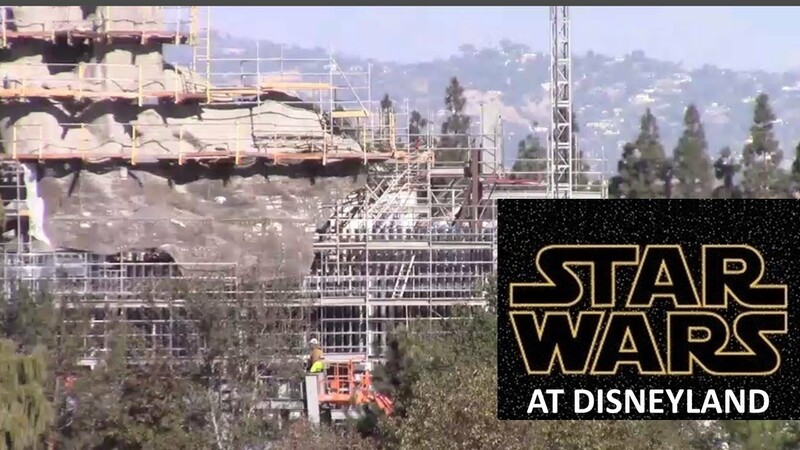 I think their current schedule has a grand opening tentatively scheduled for May 2019 for both parks just because they don't want to miss out on the summer crowds for the project. Of course, all we have is speculation right now, but that's where I would place my bets. 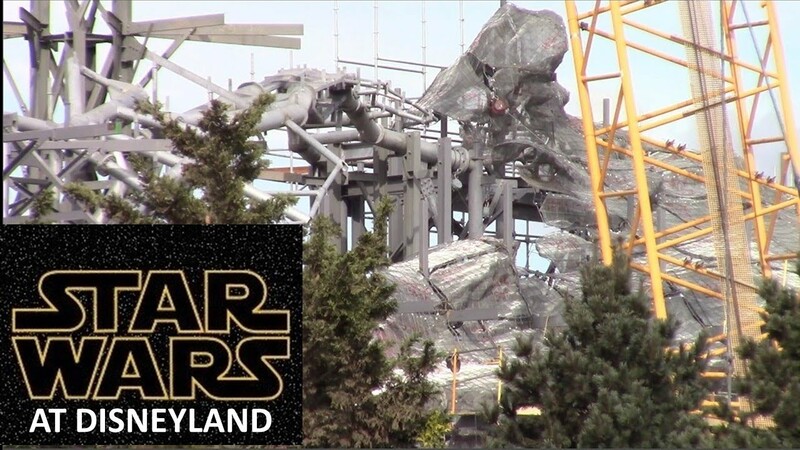 Personally, I think Bob Iger wants to leave his legacy with the company by finishing with the opening of Star Wars Land in Walt's original theme park. That photo opp is just too good for him to pass up, and I think that's one he's earned. He's probably the best CEO since Walt himself. This is a bit off topic, but I hope Iger pushes through a plan for a grand update to Tomorrow Land before he steps down. I'm not thrilled with the idea that Chapek could be CEO when Tomorrow Land next gets an 'update'. Three new SILA videos from yesterday 11/28/17. This is the view of SWGE construction from Tarzan's Treehouse. They're getting a lot of base coat on the taller rock formations, it's really taking shape. I'm still curious as to how they will be finishing the more horizontal parts of the rock work. The SWGE construction from the Hungry Bear. It looks like a few of the trees on the new berm are suffering from some transplant shock and thinning a bit giving a little better view. A lot of interesting detail in the rock formations around the BE attraction can now be seen. SWGE construction from the M&F parking structure. Quite a lot of work going on just outside the opening on the western side of the BE building where the Lunch Bay is located. The construction is now becoming quite active over toward the entrance tunnel to SWGE from Critter Country. At 5:15 seeing the pads with the anchor bolts reminds me a much taller structure will be constructed above that area. The next installment from Yensid 55 documenting the step by step SWGE construction progress for the month of November 2017. Another really good video as usual from Mark and his daughter Megan. 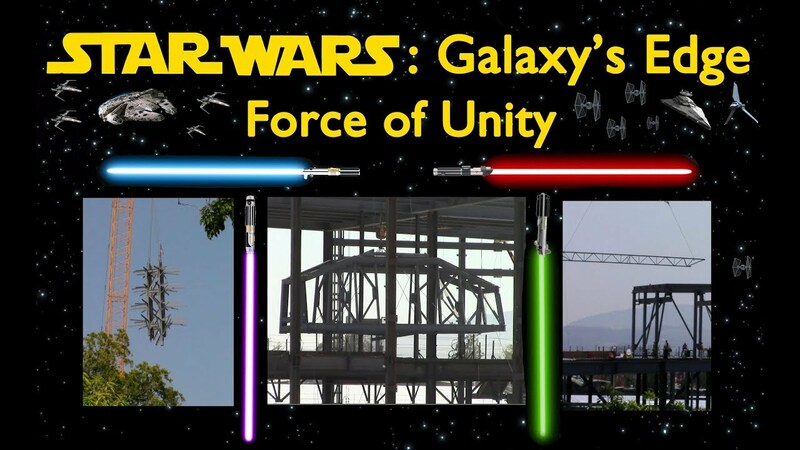 I enjoy how they show detailed video of the construction process and Mark explains what's going on, he clearly does quite a bit of research for his narration. As I've said before, their use of dissolves, highlighting techniques and referring to the SWGE model to illustrate the progress from week to week makes these videos especially fun to watch. 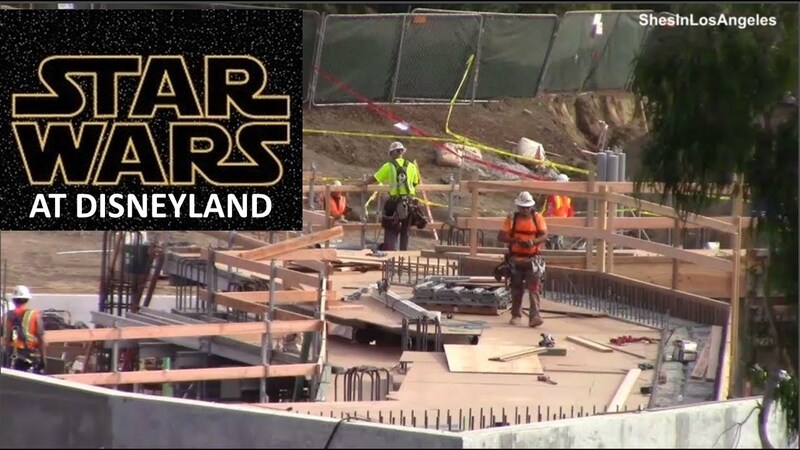 This video shows the development of Star Wars Land (aka - Star Wars: Galaxy's Edge) at Disneyland during November 2017. Last edited by Hammer; 11-30-2017, 01:57 PM.